"Dogs are not our whole life, but they make our lives whole"
Having owned dogs I can truly appreciate the bond that exists between an owner and their pet(s). These amazing animals play such a big part in some of our lives: providing companionship and becoming valued members of the family. My last dog 'Dino' was no exception to this, he was my best friend. Taking time to have a dog portrait session is an opportunity to celebrate that unique relationship and to create memories along with beautiful fine art images that you can cherish for years to come. 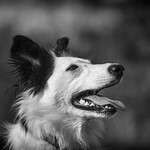 Time is taken to get to know your dog(s) to ensure that I create the best images possible. Sessions take place on location and last around 1 hour. I use a number of locations throughout the West Midlands, Shropshire and Staffordshire. Over the years I have raised money for a number of charities: Dogs Trust, Guide Dogs for the Blind and Birmingham Dogs Home. Showing my support for the amazing work that these charities do is important to me. 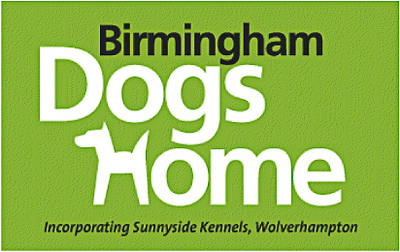 I am currently supporting Birmingham Dogs Home and have an ongoing fundraiser for rescue dogs that have been rehomed. Having met a number of rescue dogs I am taken back by how much these dogs continue to give despite what they may have experienced. If you have rehomed a dog and would like to know more about this fundraiser, please click here. Check out Caia's video, she is one of the rescue dogs that have taken part so far. Caia was rehomed by Dog's Trust after being found as a stray in Ireland.